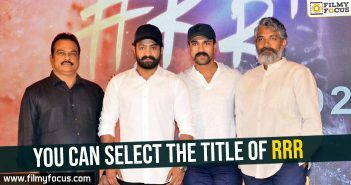 There have been speculations that Jr. NTR might be tempted to take up the hosting job of Bigg Boss Season-3 even though he is working on a big film like RRR. 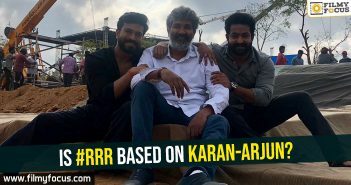 SS Rajamouli came up with intense shooting schedules to finish the complete shoot by January to move on to his next, it seems. He doesn’t want to lock up himself in one film for 5 years as he did for Baahubali and hence, he planned this for a year. Now, as the schedules are locked along with his final lock for the movie, he will be looking to adhere to those than trying to mix up two or three things, at this point, it seems. 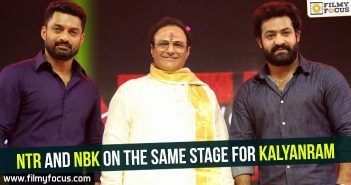 Well, the actor decided to not do Bigg Boss Season-3 after long thought and the makers are trying for Chiranjeevi or Venkatesh this time around as Nani is not interested to take up the job after all he had to go through during season 2.